You can’t control much when dining out. But, it can be easily achieved when cooking at home. Well, everything good starts at home. Read on to find out which herbs and spices are good salt substitute and how to use them. Table salt or common salt is a mineral composed mainly of sodium and chloride. This crystalline mineral contains 40 per cent sodium. Sodium attracts water and the body uses it to regulate the amount of fluid in our blood, organs and tissues. The kidneys remove sodium by producing more urine when the body detects too much of it. However, should we consume much more than needed, the kidneys may not be able to process all the excess. In this case, too much sodium remains in the body. This is where health issues arise. Although many of us know that eating too much salt causes many types of illnesses, I would still want to mention it here because all of us need to be reminded every now and then. Blood pressure indicates how much pressure the blood puts on the walls of blood vessels each time the heart beats as well as beats when the heart relaxes. Blood volume is the amount of blood circulating the body and this is the main factor determining the blood pressure. When we consume more salt than the kidneys can process, the excess retains water and the blood volume increases. Thus, increasing the blood pressure. Often mentioned as high blood pressure. The pressure that is consistently high is called hypertension and long-term hypertension is a risk factor for many illnesses, comprising heart disease, stroke and kidney failure. Heart disease and stroke come about because over time the high blood pressure caused by too much sodium makes the blood vessels less elastic and more prone to buildup of fatty deposits. This causes the vessels to harden, thicken and narrower, making the heart to work harder. Ultimately, increasing the risk of heart attack, heart failure or stroke. On top of these, high blood pressure causes vascular stress on the kidneys. In this situation, it damages small blood vessels in the nephrons which is part of the kidney that filter toxins and wastes from the body. 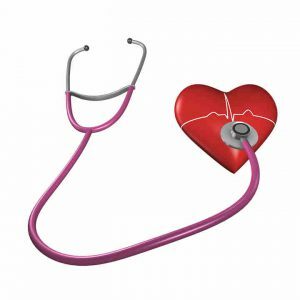 Thus, decreases normal kidney function and leads to kidney disease. In addition, high consumption of salt increases the amount of protein in the urine which is another risk factor for the decline of kidney function. The National Heart, Lung and Blood Institute recommends healthy adults and children over the age of 14 to consume no more than 2,300 milligrams of sodium a day, equivalent to 6 grams of table salt or about 1 teaspoon. Children younger than 14 may need to eat even less based on their age and gender. 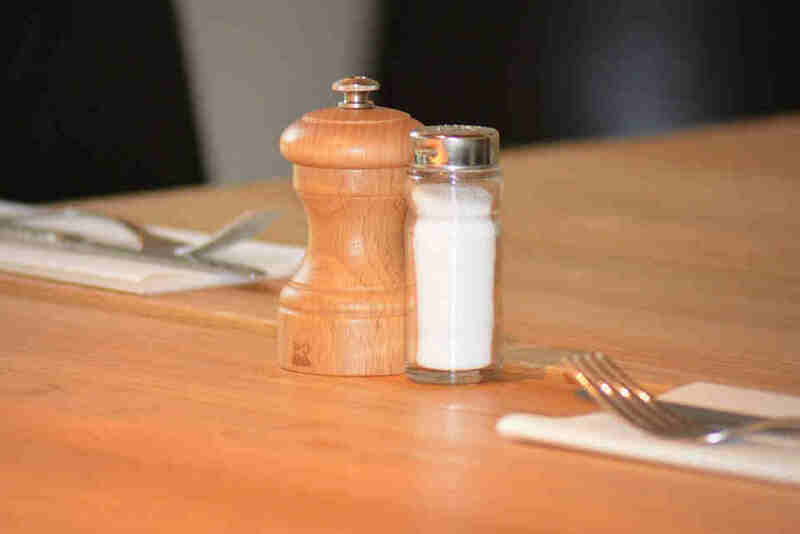 If you have high blood pressure, you may need to restrict salt intake even more. In this case, check with your doctor or health care provider on the appropriate amount of salt consumption. With the mentioned illnesses in mind, shouldn’t we reduce salt intake? 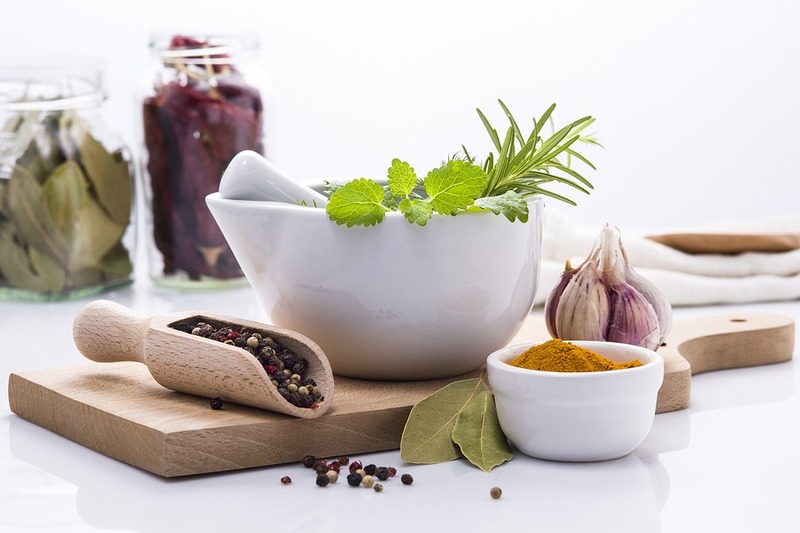 Cooking with herbs and spices is a healthy way to add flavour without the salt. Try the below to enhance the taste of your food. These are good salt substitute. Taste – Bay leaves don’t have a distinguished taste. It is the flavour that makes the difference, providing the background flavours that anyone would look for in a good pot of soup. Uses – Mostly used in soups, stews, meats, poultry, seafood, and sauces. Its woodsy tang and slight bitterness help to balance the tastes of a dish. Click on ⇒ Purpose of Bay Leaf in Cooking to find out more. Taste – Sweet and peppery. Uses – The leaves have a strong pungent taste that compliments fish and meat dishes, particularly those containing tomatoes. Also, perfect for pesto, marinades, dressings and sauces. Taste – Cayenne is a specific type of chilli and has a deceptively mild aroma, yet has a hot and fiery taste. 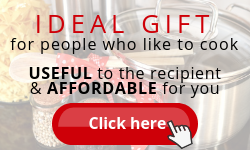 Uses – Works well in meats, poultry, stews and sauces. Use sparingly and taste the dish before adding more. It could be spicier than it looks. Taste – Cilantro is a herb which people either love it for its earthy and lemony flavour or hate it for the soapy taste. Uses – Regardless of love or hate, cilantro makes a delectable addition to vegetable salads, dressings, soups and stews. Often used raw or added to the dish immediately before serving. Besides, combining it with lime and chilli in stir-fries makes an appetizing dish. Taste – Similar to bay leaves, it is hard to define the taste of cinnamon. In fact, it is its aroma and flavour that does the work. Uses – Ground cinnamon with its warm sweet aromatic flavour is widely used in baking, while cinnamon sticks add a slightly spicy flavour to meat, fish, vegetable or rice dishes. Click on ⇒ Health Benefits of Cinnamon to find out how it helps to improve your health. Taste – Warm, sweet and aromatic taste. Uses – Used in cooking either whole or in ground form. It is well matched to flavour pork or ham dishes and is also used with stewed or baked fruit. Taste – Its distinctive flavour holds an earthy, nutty and spicy taste. Uses – Ground cumin gives a warm aromatic lemon flavour to meat, fish or egg dishes. Combining it with oregano and chilli give the dish a Mexican twist. While combining cumin, coriander, cayenne pepper, black mustard seeds and turmeric form the basis of a decent Indian dish. Taste – Slightly sweet, pungent and lemony taste with a tinge of mint and ginger. Uses – It is one of the main ingredients in Asian cuisine, especially Thai. Pairs beautifully with fish, seafood and chicken. Additionally, use it to flavour soups or stews. Taste – Marjoram is fresh, spicy, bitter and slightly pungent. Its flavour is similar to oregano but sweeter and more delicate. Uses – Works best in soups and stews. Also, pairs well with poultry and other roasted meats, as well as vegetables including cabbages, potatoes and beans. Taste – This bright and refreshing herb has a warm, aromatic, sweet flavour with a cool aftertaste. Uses – Great in salads and pairs well with potatoes and peas. Also, add mint to pesto sauce to jazz it up. Read more on Mint Leaves. Taste – Warm, spicy, slightly bitter taste and a strong aroma. Uses – Use oregano to marinate meats, poultry or seafood before grilling. Also, it is frequently used with any dishes that have tomatoes such as spaghetti Bolognese and tomato salsas. Taste – Compared with cayenne pepper, paprika is milder and sweeter but is smokier, giving it a unique, earthy flavour. Uses – It pairs well with most meat dishes that is beef, lamb, chicken, pork and fish. Furthermore, sprinkle onto baked potato wedges, scrambled egg or vegetables for that extra kick. Taste – A herb familiar to all, thought of as just a garnish. It has a mildly bitter taste but does not overwhelm other ingredients. Uses – In fact, adding parsley to a stew does not make it bitter. Conversely, it balances the taste of the stew. Besides stews, this herb goes well with roast lamb, grilled steak, fish and chicken. On top of these, add into marinades, dressings and sauces. Taste – Minty, peppery, balsamic taste with a bitter, woody aftertaste. Uses – An excellent herb for potato dishes and other root vegetables like carrots and onions. Pairs flawlessly with lamb and chicken too. When rosemary is added to spaghetti sauce, it will bring out the flavour of other ingredients. Also, it is a good addition to tomato-based soups, stews and sauces. Consider growing your own rosemary. It is a robust and perennial herb – easy to grow and thrive in containers. Thus, it is most suited to grow indoors year round. 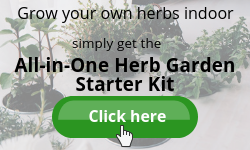 Click here to learn How to Grow Herbs Indoor Year Round. Taste – A strong aromatic herb with a slightly bitter and woodsy taste. 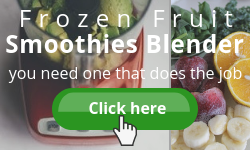 Uses – Enhances pork, lamb, meats and sausages. Chop some sage leaves and stir into pasta, salads or pickles. Taste – Used predominantly in Asian cooking. Its flavour is distinct and sweet with a fresh, pleasing aftertaste. Uses – Star anise pairs well with chicken, fish, eggs and braised beef dishes. Also, goes brilliantly with tomatoes. A single pod of star anise adds a new level of flavour to tomato-based sauce or stew. Taste – This herb has a piney and peppery taste while slightly lemony and minty. Uses – Pairs well with fish, chicken and tomatoes. Also, use it for marinades or sauces. Furthermore, it is a tasty addition to roast vegetables. Taste –The aroma is similar to ginger but with a citrusy earthy tang. The flavour is a little bitter and sour. Uses – Turmeric is an essential ingredient in most curries and it blends well with fish and chicken dish as well as beans and eggplants. Also, flavour rice with it. Use more herbs and spices instead of salt. Train your taste buds to enjoy foods with less salt by trying to reduce salt intake slowly, and the taste buds will get used to it. Eventually, you may even find some foods too salty. The key is to make healthier food choices when shopping for groceries, cooking, and eating out. Read food labels and choose items that are lower in sodium and salt, especially convenience foods and condiments. 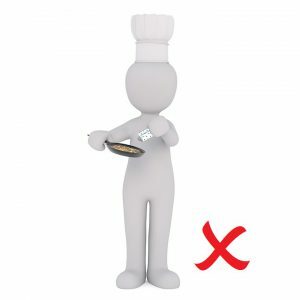 Select seasonings that do not list sodium on their labels. For instance, choose garlic powder over garlic salt. Alternatively, make your own seasoning blend. Namely, spice rub or Cajun seasoning. When cooking, limit the use of pre-made sauces, mixes and instant products such as rice, noodles and pasta. Cook food or sauces from scratch to control the amount of salt used. If cooking with canned foods or those soaked in brine, rinse them to remove the salt before using. When eating out, choose fruit or vegetables as a side dish, instead of chips or fries. As a stay-at-home mom, taking care of the family’s well-being is one of the main responsibilities. A healthy family means a happy family and if to reduce salt intake is able to contribute to the wellness of the family members, why not try using herbs and spices to substitute salt. This is definitely one of the healthiest ways to reduce salt intake. So, instead of reaching out to the salt shaker, look into your spice cabinet. If you love fresh herbs, consider growing indoor herbs all year round. You may want to know how to substitute fresh herbs with dried, click here to find out. The herbs and spices mentioned are good salt substitutes. Would you agree? No harm giving them a try. Moreover, they are many health benefits related to each of them. If you know of other ways to reduce salt intake, please leave your experience in the comments section below. We all love salt don’t we? I’m assuming you’re discussing table salt that costs pennies to buy in the supermarket? I use that horrible stuff to clear away snow. I personally don’t touch that stuff because it’s very harmful to our bodies just as you’ve said here in your lovely article. I pay a fair amount for my salt, it contains all the minerals so it’s very good for you. It doesn’t make you thirsty or crave more like table salt ie sodium salt. It’s very tasty and heals your body because our bodies need minerals. Without minerals we get sick! You are absolutely correct to say that our bodies need minerals. May I know what type of salt you’re using? I just wrote about how to reduce sugar intake.. but salt is important as well! Great suggestions on using more herbs – I do it and I see that I do not need much salt, if at all. My favourites are cumin, basil and oregano! And there are so much more benefits in using herbs: like basil has a lot of potassium to keep our acid-base balance in normal range. Thanks for all the suggestions, I must try other herbs, too! Thanks for dropping by and leaving your comments, Melissa. I love basil too, usually pairing it with chicken and pasta. Also, eat raw with my green salad. This is a very informative article. I am not a big salt eater personally but I have other family members that like to use a lot of salt. Do you think sea salt is better? I changed from regular salt that you can buy to sea salt.I will give some of the other spices you mentioned a try. I suggest you read this article about the types of salt. It explained very well about the differences. Do use herbs and spices to substitute salt. It is much healthier and gives a much more complex taste. Another reader here suggested to use lime and lemon which I believe is another good substitute. I was diagnosed with high blood pressure and one of the first things my Doctor told me was reduce salt intake. The American Heart Association recommends no more than 2,300 milligrams a day and an ideal limit of no more than 1,500 mg per day for most adults. More than 75 percent of the sodium Americans eat comes from some processed, prepackaged and restaurant foods, not from the salt shaker. Me for example I used to get those Maruchan Instant lunch which just one cup contains all the salt an adult should ingest per day, in conclusion, everything is about building good habits, just like this article is suggesting, try to cook at home more often, one of the things that helped me a lot to substitute salt is using Citrus for example lime and lemons, it will really trick your mind, avoid any deli products like ham, bacon etc, in few words avoid any processed, caned or frozen food and try to cook at home the most possible from scratch with fresh products and more vegetables, it’s more fun and your body and people you love will appreciate it. Thanks for sharing the useful information. As I said in this article, every thing good starts at home. I have never been a big user of salt. Always found that if not used correctly, it can ruin a meal. I really like the idea of using herbs instead of salt to flavor a meal. However, recently I have also discovered that salt can make a big difference in just how a meal can taste. I use Himalayan Pink salt rather than the iodized table salt. Have tried both and prefer the pink. Is this type of salt better for you than iodized table salt? Same here. When I started out cooking, I use very little or seldom use salt at all. But once I started using them, the taste of foods were more flavourful. Then again, I knew it isn’t good for health. Thus, using herbs and spices to substitute salt. Yes, I have tried both iodized table salt and Himalayan Pink salt but to me, flavour wise, they are the same. Salt is salt. I have read a very good article about the different types of salt and suggest that you read it too because it explained very well the differences. Or, look at it from a different angle, the similarities. Here is the link. I just had my annual checkup and my results is my sodium is high. I past my limit. I rarely eat chips. Is soy sauce high in sodium? Because i always use it when i cook. You know being asian, our dishes are always with soy sauce, oyster sauce, and etc. I should start using herbs to cut my sodium intake. Thank you for your helpful article. I understand what you mean, Meliza. I too, uses soy sauce and oyster sauce in my cooking. But I have reduced both the amounts or uses either soy or oyster sauce in some of the dishes. Soy sauce contains sodium too.Healthy adults should consume no more than 2,300 milligrams of sodium a day, equivalent to 6 grams of table salt or about 1 teaspoon. And 1 teaspoon of soy sauce contains 291 milligrams of sodium. So, watch out for the combined amount of soy sauce and salt you’re using per day. Since your sodium level is high, try to keep it below 1,500 milligrams of sodium per day. Best to use herbs and spices to substitute salt. Stay healthy and take care. My dad died from high blood pressure last year. We are looking to reduce our salt intake since we are all at risk. We have been substituting salt with herbs and spices. Thanks for the other suggestions. We do prefer lean meat, poultry etc over cured food and bacon but they tend to be easier to prepare so we eat the right stuff less and less and we get busier each day. I’ll share this with my family. Thanks again. Using herbs and spices to substitute salt is the healthiest way. Glad to know that you’re doing it. Busier but healthier – best to the family. I used to put regular salt on my food, but since I’ve read somewhere that it affects the health, I switched to a much healthier salt. The one that I use is Crystal Himalayas Mountain Salt. Its color is pink, and it comes from Himalaya in Pakistan. Since I tasted this salt, I am not able to go back to regular salt. Anyway, even if that salt is good for the health, it is not recommended to eat it excessively. I’ve heard that lemon give the same taste as salt. Did you hear about this? I am going to try the lemon tomorrow. Thank you for the list of spices, I will also try them very soon! I am using Himalayas Mountain Salt too and absolutely agree with you that no matter which type of salt we’re using, it is still not good to over consume. There was a reader here who commented that he uses lemon and lime to substitute salt. I am not too sure if it tastes the same but will definitely jazz up the taste. Great article…very informative! I LOVE cooking with Cayenne Pepper and Cilantro. You can easily add these to your dish and quickly not even realize that the salt component is lacking! What are your thoughts on true salt substitutes such as sea salt, etc. Are there extreme benefits on using this type of substitute in place of normal, everyday table salt? I read a very good article on the different types of salt and their benefits. From regular table salt to sea salt, kosher, Himalayan pink salt, even Celtic salt was compared. To sum up, the main purpose of using salt is to enhance flavour and not nutrition. The main difference between these salts is the flavour, colour, texture and convenience. The other difference is the percentage of minerals content for each of them. But the variance is minimal and does not justify in choosing one over the other. Click here if you would like to read more. This is a very informative blog post here, I workout regularly and I eat extremely healthy on a daily basis. I don’t eat salt excessively, however, I’ve been trying to find ways to reduce my salt intake for a long time now. But I’ve been having a hard time doing this, no matter what spices I used, if I don’t put salt on my food. I feel as though I’m being deprived. You said that we have to train our taste buds to enjoy food with less salt by trying to reduce salt intake slowly. I will definitely try this. I understand what you mean when you said ‘being deprived’. Slowly but surely you will be able to adjust your taste buds given time and perseverance. Stay healthy always! Hi, great article. I’m going to follow your advice about replacement for the salt. I just got my annual blood checkup and i have high sodium. My doctor said i should just drink alot of water. But i think i should be less dependent on my salt when i’m cooking and use alternative herbs you mentioned in your article. What’s the use of drinking alot of water when my salt intake is still the same. You’re article will really help me. Thank you. I am glad that you found this article helpful. Agree with you that drinking lots of water is good for health but salt intake should be taken into consideration too. Thank you for providing so many details on the uses and flavors of various herbs and spices. I have found that in the past couple of years my salt use has gradually increased to the point where now people get a little wide-eyed when I add it to my food. I am disappointed that it has crept up on me like that. I have always maintained that as long as you keep your water intake high enough, it doesn’t matter how much salt you eat. Perhaps I am wrong. Your article has helped me rethink the matter. I think I will start trying to curb it back down a bit. Sometimes things happen without us realizing it. A little bit of salt here and there add up. Therefore, we have to be mindful whenever we add that little bit of salt. Try to keep your intake to no more than 2,300 mg of sodium per day (for a healthy adult). Reduce the salt intake slowly and you’ll get used to it. Try out the herbs and spices mentioned as they not only help to reduce the sodium, they are beneficial to health too. Stay healthy and good day! Great article on ways to reduce salt. I am always trying to be health conscious — so naturally i do try to find ways to lessen my salt intake. What do you think about ms dash seasoning. Do you like it or not? I have not tried Mrs Dash seasoning. Usually, I would make my own blend. Perhaps you may want to spice up your own too. We know too much salt is not good for us, and cutting back on it is good for our health. I like your idea of using herbs to take the place of salt. If you could find a herb you liked the flavor of, you could use it for all your seasoning, where you would use salt. This is a great idea, good post. You are absolutely correct, Fred. My favourites are basil and turmeric. Used them for meat, sauces, dressings or simply sprinkle onto my salad. Many thanks for checking in again and leaving your comments. Great Article. I know I am not a huge fan of salt but I don’t really pay attention to how much I am taking in. I am also not a big cook, but this is something that I am doing more of and learning about the different spices and herbs available is hugely helpful. Thanks for the great content. I am glad to find this helpful. 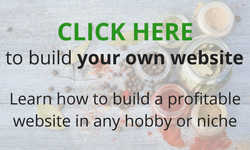 Do browse through this site as there are lots more we can do with herbs and spices. The site is awesome in look its contents are well organized. Very colorful work. The topics are focusing on issues that people need to be aware of especially now that the world is loosing in the battle against chronic diseases which majority of them have been traced down to unhealthy lifestyle. Flavored foods are tasty but very harmful to health, the after effects has always been had I known. I congratulate the Admin, for the excellent work done. Thanks for the positive feedback. Hope the articles on this site give you valuable information to a healthy lifestyle. 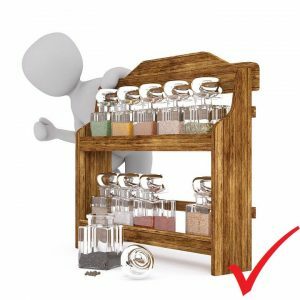 Thank you Sharon for this informative post, I have been trying to cut back on my salt use at home for my family and found it is very useful to use spices too. Cutting out salt all together is difficult as food all of a sudden “looses” all of its taste, but doing gradual reduction gets the result! Thanks for the health information – that is good to know, I wasn’t aware that it was the kidneys that filter the sodium – somehow I put everything onto the liver! Guess I have to learn some more! Thanks for dropping by. I am glad you have gained some knowledge from this article. Hello Sharon, what a fabulous and informative post. I am so aware of how i have become almost addicted to salt. So finding other ways to flavor food is just so timely for me. And so many options to choose from. Thank you Sharon! Great to see you here again, Ariel. For health reasons, I have reduced salt in all my cooking. My daughter loved the herbs but my son is still complaining. It may take some time to adjust our palate. Use your favourite herbs and spices in cooking instead of salt, at least reduce the amount. The dish will taste as good if not better. Really great article and one that is much needed in todays world considering all the heart health problems going on. I love to use herbs as substitute, but hardly ever do because I’m the only one who would eat. This is important subject that should be took in to consideration. Thanks for dropping by, Fred. There are many health benefits to using herbs and spices. Also, they do enhance the taste of food. 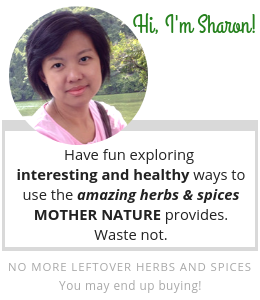 I am still exploring the many types of herbs and spices and sharing my findings here. hoping to create more awareness. Do drop by periodically for more articles and share them. My Grandfather had a lot of health issues during his life and he hard big heart problems from a young age. After suffering a heart attack in his mid 40s, the doctors told him he needed to drastically reduce his salt intake. He was crazy for it. It was on every dish he ever ate. Since being a very young boy, I have avoided salt. I do not even like the taste of it. Sometimes you need to use a pinch or two when cooking to get the taste right, but I do that because of my family. Personally, if I never had salt again, I would not miss it. Great information here. Very educational. Come to think about it, using a pinch of salt or two in cooking could be a habit for some people. Do you think so? Anyway, I am glad that you can totally avoid it. What a great post on healthy alternatives to salt! I am a himalayan pink salt user, and totally agree with limiting salt consumption in our every day diets. My three favorite alternatives are cilantro, thyme and tumeric. I utilize these herbs/spice on a regular basis in my diet. Turmeric is one of my favourite spice. I used it to season fish and chicken and would add a pinch when cooking Mediterranean or herbed rice. My daughter uses it to control her acne outbreak. If you would like to read more about it, click here. I do have high blood pressure. One of the ways I control it is to lower my salt intake. You have given me many things to try when I am cooking to get some taste in my food without salt. I like to grill things, do you have a favorite rub to use without salt. It is wise to make our own spice rub. Not only can we control the amount of salt but also to create one that suits our palate. It can be endless, creating one each for a different kind of food. I have written an article about Spice Rub. Click here to read more. Find out how to create your signature blend. I definitely need to learn more:) I love spices and herbs. My favorite are cumin, cinnamon, paprika . I think I love nature:) it gives us everything. I would like to learn the use of all these herbs and spices and i think i will start from here. Thanks for such a nice article and My next dish will be amazing thanks to you. Do you think spicy food ( because i am a huge lover of Indian and every spicy dish)is healthy for us? i should avoid eating so spicy? Personally, I would say eating too much of anything is not good for health. There was an article published in livestrong.com, mentioned that spicy food might actually help our stomach produce less gastric acid and protect the stomach lining if eaten in moderation. So, moderation is the key. Btw, I love Indian food too, especially Chicken Biryani. I am glad you gained some knowledge in using herbs and spices here. Share with us what you have cook up. Hi Sharon, great post! In the group I am in Trim Healthy Mama, we use Himalayan pink salt, which is great. I love the idea of using spices, herbs and spice rubs instead too, like your own Mrs. Dash, and you can choose your own flavours and mixes. Thanks for sharing! Indeed, herbs, spices and spice rubs are good salt substitutes. 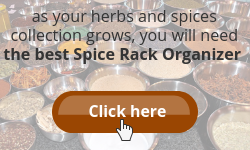 Have you tried making your own spice rubs? One of the benefits of making your own is that you can control the amount of salt going into it or eliminate it altogether. I love your suggestions. This is something I generally try to do myself. Lots of useful information here. Thank you for sharing. I am glad you like it, Catherine. Thanks for dropping by.